Learn how to fine-tune your time management skills so you can make better use of valuable time and get more writing on the page! 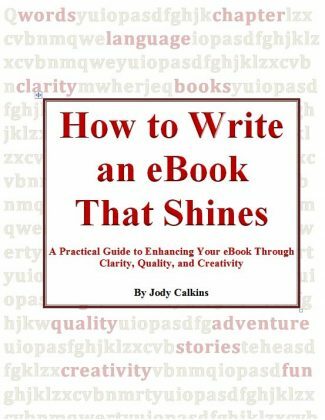 Want to write but can't seem to find any time in the day to devote to writing? Writing isn't easy. Writers need time to brainstorm ideas, flesh out story plots, create dynamic and interesting characters, craft engaging dialogue, and write interesting stories. We need time to read other books in our genre, writing reference books on how to write books, and books in other genres. And if our plan is to sell our stories, we need time for market research and building our author platform. Without time, all of these activities just won't get done. But the desire to write is a strong one. You feel compelled to write. And you won't be satisfied until you feel good about the amount of progress you're making. That's where better time management comes in. Learning how to prioritize tasks and prevent distractions are a small part of what it takes to fine-tune your time management skills. Whether you are a stay-at-home parent or work 9 to 5 outside of the home, finding ways to improve your time management skills will help you make better use of your valuable time so you can get more writing time in. Building a writing career takes passion, interest, motivation, and time. 30 Days to Better Time Management & More Writing is a 30-day time management ecourse for writers. 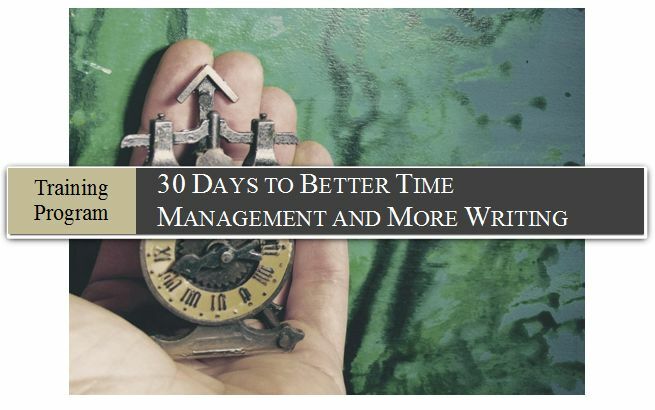 This training program is designed specifically for the busy writer and business professional, and is packed with ways writers can improve their time management skills to get more writing time in. This 60-page training program includes course material (30 lessons) as well as space for note taking at the end of most lessons. Print it out and work on one lesson per day over the course of 30 days. The program comes in PDF format and is available for immediate download after purchase. Each of the 30 lessons includes a task that can be done right away. In just a few days, you can be on your way to getting more writing on the page. This is one training program you do not want to miss! Order now and you'll also receive three premium training programs for free (valued at $111)! Learn seven techniques to come up with an endless supply of ideas for your stories and articles. This course is now offered in a PDF version. 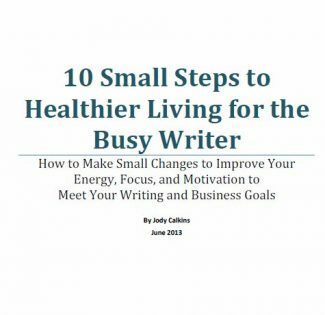 Learn how to get and stay motivated to write with this 6-week ecourse. 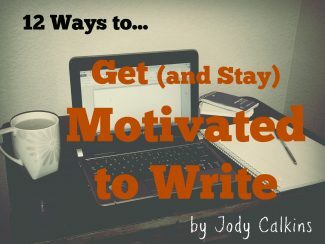 How to determine the right motivators and get the support you need to stay focused on writing. I've designed these programs specifically for writers and business professionals who are busy and short on time. No-nonsense, no fluff. Simply get what you need and start implementing these tips right away so you can boost your creativity and find more time to write. Don't miss out on this amazing offer! You'll get powerful strategies for taking charge of your valuable time so you can get more words on the page. Act today! You'll be glad you did. This introductory offer won't last, so make sure you get it before the price goes up!